ODOT’s Eight-year Plan has successfully reduced the number of structurally deficient highway bridges, rebuilding much of the interstate system and addressing major urban interchanges and highway corridors. Highlights of the Oklahoma Transportation Commission's Oct. 2 meeting include approval of the Oklahoma Department of Transportation's rebalanced Eight-year Construction Work Plan, a report on the impacts of state funding cuts on planned projects, award of a major project on I-40 at Choctaw Rd. in Oklahoma County and action on placement of signs for memorial highways and bridges designated by the legislature. The commission voted unanimously to approve ODOT's Eight-year Plan for Federal Fiscal Years 2018-2025. Due to $840 million in cumulative state funding reductions in the last seven years, ODOT delayed projects and even removed projects from the plan for the first time since the plan's inception in 2003. Overall, 40 construction projects totaling more than $204 million were removed from the updated Eight-year Plan and about 42 percent of all programmed projects are being delayed one or more years. Additionally, several projects have been significantly reduced in scope in order to stretch funding as far as possible. The Asset Preservation Plan for State Fiscal Years 2018-2021 also was presented as a companion to the Eight-year Plan. The plan contains preventative maintenance projects designed to extend the life of highways and bridges. Mike Patterson, executive director, noted that since 2003, ODOT's Eight-year Plan has been very successful in reducing the number of structurally deficient highway bridges, rebuilding much of the interstate system and addressing major urban interchanges and highway corridors without political influence on project selection. However, he noted that the updated plan lacks the resources to adequately address other pressing needs, including pavement conditions and lack of paved shoulders on rural highways. Even with the progress made on structurally deficient bridges, Patterson said that ODOT still needs to replace or rehabilitate about 90 bridges each year just to keep up with the aging infrastructure system. The commission voted to award a contract for an up to $75 million project to reconstruct I-40 at Choctaw Rd. to a full diamond interchange and widen I-40 to six lanes from I-240 to Peebly Rd. in eastern Oklahoma County. Work is expected to begin early next year and take more than two years to complete. This is one of several planned projects to reconstruct and widen the interstate to six lanes between I-240 and Shawnee, improving pavement conditions and addressing growing congestion and truck traffic. Commissioners took action on a consent docket item approving memorial sign placements at several locations designated by the legislature earlier this year, including the “Representative David Brumbaugh Memorial Bridge” on SH-51 (Broken Arrow Expressway) in Tulsa County and the “Officer Justin Terney Memorial Highway” on U.S.-177 in Pottawatomie County. 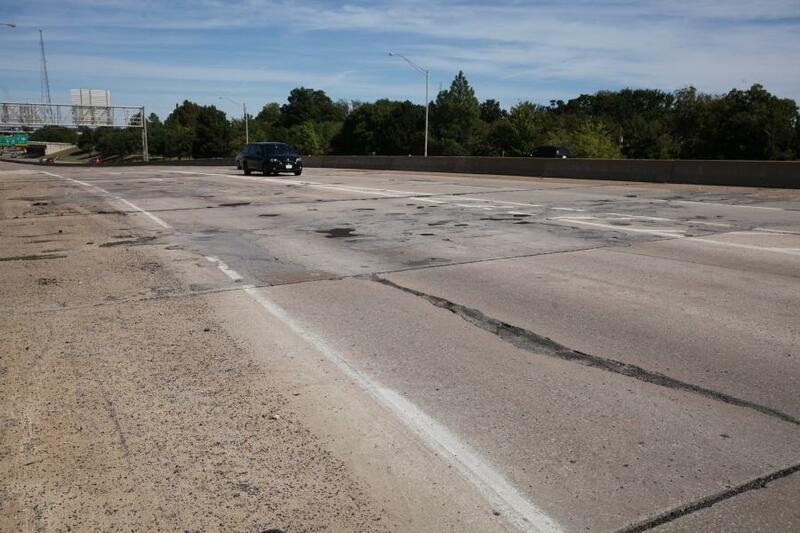 The commission also awarded a nearly $3 million contract for rehabilitation of the U.S.-75 bridge over I-44, Southwest Blvd. and railroad in Tulsa and a more than $13 million contract to reconstruct SH-58 in Carnegie in Caddo County. Commissioners voted to award 22 contracts totaling more than $118 million to improve highways, roads and bridges in 19 counties. Contracts were awarded for projects in Adair, Atoka, Blaine, Caddo, Cimarron, Coal, Comanche, Craig, Garvin, Kay, Muskogee, Oklahoma, Osage, Pittsburg, Pottawatomie, Sequoyah, Tillman, Tulsa and Washita counties. A list of all awarded contracts may be found by visiting odot.org/contracts, selecting the September 2017 letting and clicking Go and then Award. The eight-member panel, appointed by the governor to oversee the state's transportation development, awards project contracts for road and bridge construction every month. The commission's next regular meeting is scheduled for 11 a.m. Monday, Nov. 6.